The two images below were taken during a dinner held at Arthur & Margaret Allen's 50th Wedding Anniversary held in Rochester, Monroe County NY. At the table in foreground, clockwise from lower left, Jan Cook, Sandy Cook, Me (Tom Cook), Mom. 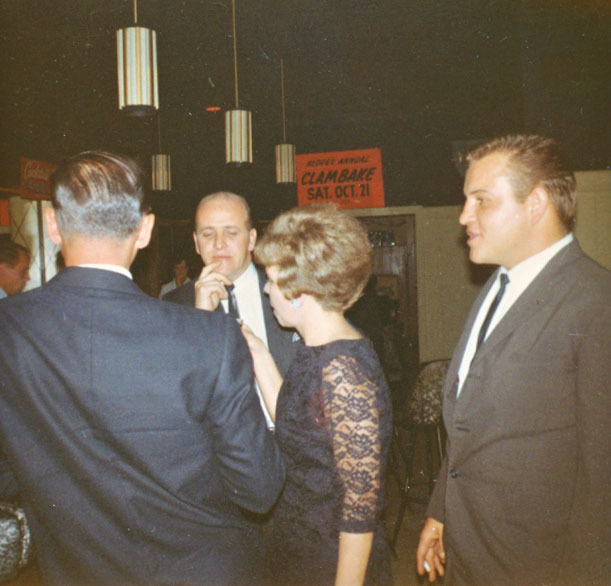 (Peggy Cook), Gary Cook, unidentified woman, Andy Cook, Jackie Allen, unidentified. 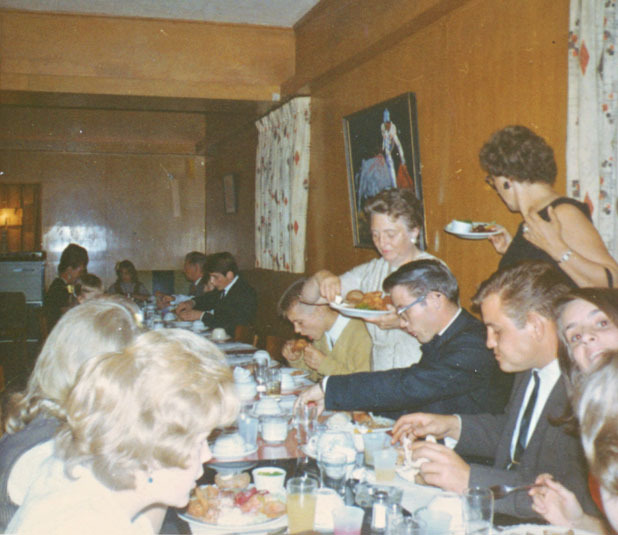 The young man sitting at the far side of the table in the background looks like Lee Allen, but I can't be sure. Andy Cook is the far right of the photograph. The other people are not identified.